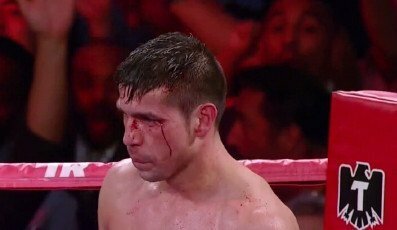 What's next for Sergio Martinez? By Frank Walsh: Last Saturday night’s encounter between Julio Chavez Jr and Sergio Martinez contained all the elements that combined made for a classic encounter. With the precision of a surgeon, Martinez performed a near perfect operation on Chavez Jr. For 11 rounds Chavez Jr had no answer for Martinez. Proving near impossible to hold down, Martinez presented a boxing masterpiece before a sold out crowd at the Thomas and Mack center. Just as Martinez was adding the final touches to his masterpiece, Chavez Jr almost demolished it to down to its foundation. In a dramatic 12th round, Martinez had to climb off the canvas after a devastating hook from Chavez Jr sent him crashing to the canvas. Rising to his feet, Martinez not content to run and hold on for the round, placed his feet firmly in the trenches and held his ground in a memorable last round. In the days following this fight, talk has already begun of a rematch which would no doubt do mega business. The final round turned in by Chavez Jr, the fact that Martinez fought with a broken left hand from the fourth round onwards, and the question if Chavez Jr turned up the heat earlier would he have gotten to Martinez all present an interesting rematch regardless of the fight seemingly a mismatch for the first 11 rounds. Martinez has placed himself in a position of lucrative fights which the 37 year old richly deserves. Whilst a rematch may or may not come about, Martinez has his eyes firmly set on another title, pound for pound king. The question is can the Martinez management team lead Floyd mayweather under the bright lights and into the only place that can be decided, the ring. You are here: Home / Boxing News / What’s next for Sergio Martinez?